Cloud service is a resource that is able to dynamically fit the needs of the user through the Internet and offer innovative ways to collaborate and increase efficiency. It's easy to be intimidated by the capabilities of the clould and not realize its full potential at first and if we are being honest, the cloud isn't for every business. We examine your business functions and discuss what parts of your buisiness may benefit the most from the cloud. When the needs of your business change, so can the storage for your data. Cloud storage is upgradable for any needs that may arise. We will discuss any upgrades that we think would benefit you and your growth. 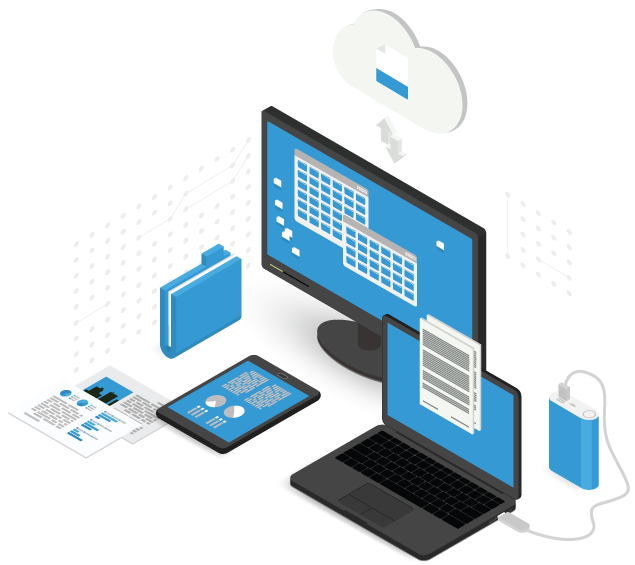 To get a better idea of how the cloud can help your business, we will meet with you to discuss what your needs are and analyze your business processes to make sure you get what you need. One of the best parts about cloud services, is that they are accessible anywhere you and an Internet connection are. Maybe employees are scattered between cities or between the office and home for the day. No problem. After integrating to the cloud, all of your data and information needs to be protected. With our automated backup solution, you can rest assured that your information is secure. You can review automated logs and reports using cloud services. These can help you get real time analytics to better serve your business. Using Omega's Cloud Solution, you are able to utilize the best parts of being in the cloud. Work from wherever, whenever with safe, fast & secure access to your company's data.